MADISON, Wis. — Visiting Wisconsin on June 28, President Donald Trump tweeted “Russia continues to say they had nothing to do with Meddling in our Election!” It was not the first time the president cast doubt on Russian interference in the 2016 election, contradicting conclusions of the FBI, CIA and National Security Agency, as well as reports by bipartisan committees in both chambers of Congress. Wisconsin and other battleground states were targeted by a sophisticated social media campaign, according to a recent University of Wisconsin-Madison study headed by journalism professor Young Mie Kim. This campaign tapped into divisive issues like race, gun control and gay and transgender rights. Alleged Kremlin-linked operatives also probed the website of the Democratic Party of Wisconsin. The websites of Ashland, Bayfield and Washburn in northern Wisconsin were targeted from Internet Protocol addresses listed in the joint FBI and Department of Homeland Security report on Russian malicious activity. And in July 2016, Russian government operatives attacked the Wisconsin Department of Workforce Development website, state officials reported. Even before the revelation on July 23 that Russian government hackers had penetrated the computer systems of U.S. electric utilities and could have caused blackouts, government agencies and electricity industry leaders were working to protect U.S. customers and society as a whole. “The election interference ... is not the greatest threat to our democracy. We’ve blown it way out of proportion,” he told the Washington Examiner. Karen McKim is coordinator for the Madison-based grassroots group Wisconsin Election Integrity, which focuses on “appropriate” use of technology to secure Wisconsin’s elections. McKim has many stories of election errors. In the 2016 general election, she noticed that hundreds of voters in the Oneida County community of Hazelhurst cast ballots in the U.S. Senate race but not for president. It turned out to be a clerical error. 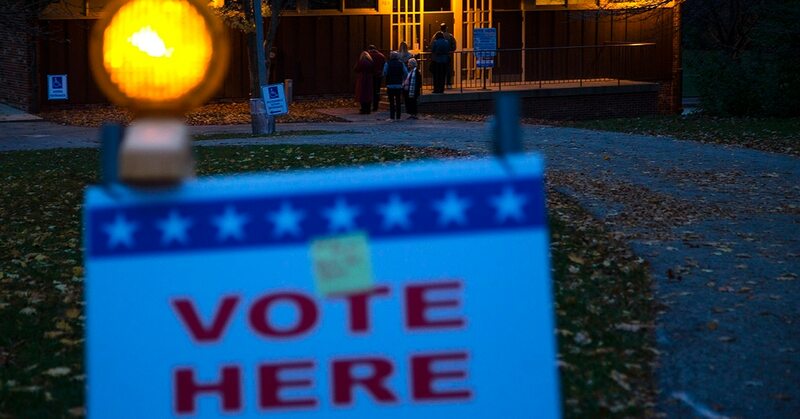 In 2014, hundreds of votes in a Stoughton municipal referendum were not initially counted, possibly because of “dust bunnies” that covered the optical scanners' lenses. In Monroe, election officials lost 110 ballots cast in the state Senate Democratic primary of 2014. In the demonstration, University of Michigan students were asked to pick the better school in a race with two candidates — Michigan itself and Ohio State University. From his office computer, Halderman remotely altered the tally, making Ohio State the winner in a race where the majority of voters picked Michigan. A recent New York Times Magazine report cited a machine in Pennsylvania's Venango County that was miscounting votes due to a calibration error. It contained software that allowed a county contractor to work on the machine remotely — but also made it vulnerable to hacking. According to a leaked National Security Agency report published by The Intercept, an unnamed U.S. voting software supplier was the target of a cyberattack. It was allegedly conducted by the same Russian intelligence agency whose 12 officers were recently indicted as part of Special Counsel Robert Mueller’s investigation. The attackers “sent spear-phishing emails to more than 100 local election officials just days before last November’s presidential election,” The Intercept reported.